Why Do We Work in Nepal? 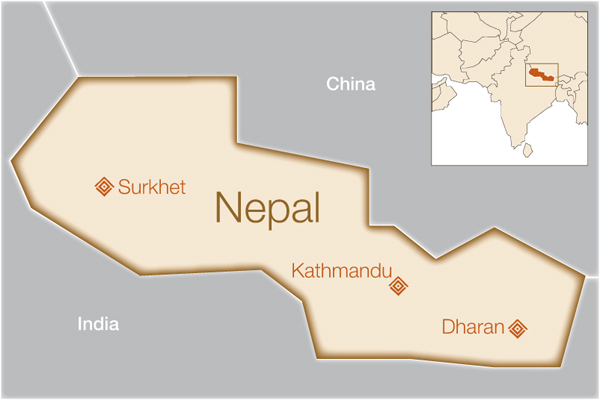 Nepal is a mountainous, landlocked country situated in the Himalayan Mountains between China and India. Poverty is acute; the GDP per capita is among the lowest in the world, around $1,500. Obstetric fistula and other maternal morbidities are far too common particularly in rural areas of Nepal, where there has been a historical lack of adequate maternal healthcare and emergency obstetric services. Where facilities do exist, there is often a shortage of beds and trained staff. Further compounding the problem are harsh geographical and travel conditions, a series of devastating earthquakes in 2015, periodic political conflict, and a severe lack of awareness – to date, no official surveys have been conducted to collect quantitative data on fistula in Nepal. Many victims, and even health workers, are not aware that fistula is a medical condition for which treatment is available; those who do often travel to Kathmandu or India only to find their funds are insufficient to pay for surgery. We provide grant support directly to these organizations. How will this help women in Nepal? 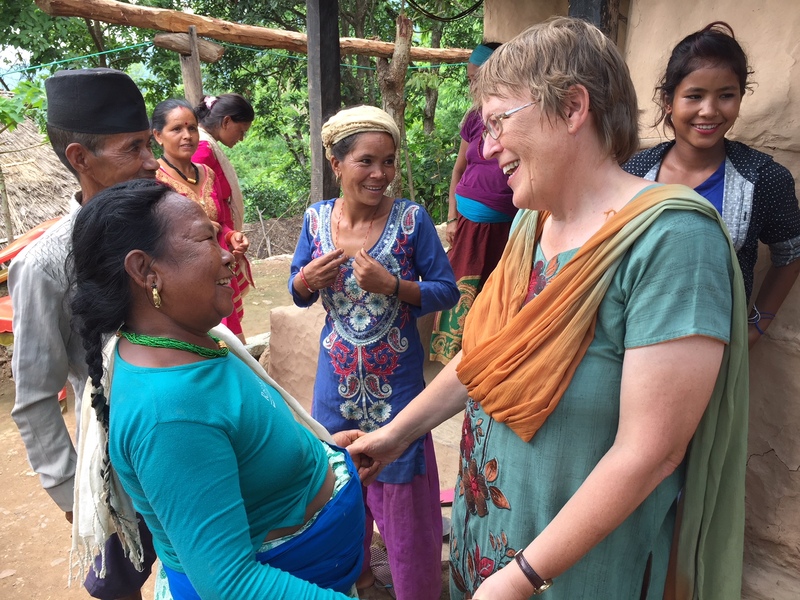 International Nepal Fellowship (INF) focuses on three main areas in its work on fistula: surveillance, prevention, and treatment of obstetric fistula in remote areas of Western Nepal. There are currently no other organizations working on this issue in Western Nepal, nor are there any hospitals in the region that are able to surgically treat fistula. While INF hopes a dedicated fistula treatment center will one day be established there, surgeries are currently conducted only via periodic medical clinics at the regional government hospital in Surkhet. Funding from Fistula Foundation supports the purchase of medical equipment for these clinics, as well as the costs of treatment for women who come to them for surgery. It also supports training for health care workers in the region. 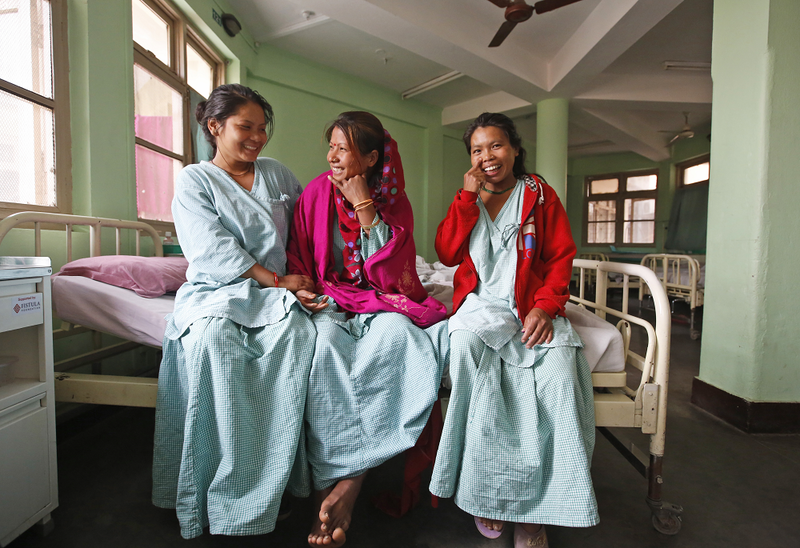 Fistula Free Nepal (FFN) works in Eastern Nepal and focuses on raising awareness, screening and treatment. Using a variety of techniques such as TV, radio, printed materials and community outreach, FFN seeks to raise awareness about fistula in rural areas and refer identified patients to appointed local health workers. These health workers are trained to screen and identify fistula patients and refer them to B.P. Koirala Institute of Health Sciences for treatment. Through our partnership, funding from Fistula Foundation supported free surgeries and pre- and post-operative care for 36 patients, a training workshop in which four surgeons and 12 health workers were trained, and the purchase of new operating equipment. Current funding supports expanded community outreach, fistula surgeries, and training for surgeons and health workers. Public Health Concern Trust Nepal is a non-profit health organization in Nepal that runs Kathmandu Model Hospital and Kirtipur Hospital in Kathmandu. Each of these hospitals has a fistula ward with five beds, and between the two they have several fistula care nurses and three fistula surgeons. While the hospitals currently have the capacity to perform repair surgeries, they have lacked the resources and proper equipment to offer surgeries routinely and at no cost to patients. Funding from Fistula Foundation has allowed the hospitals to purchase much-needed new equipment for their fistula operating theaters, including operating tables, proper lights, and anesthesia machines. Funding will also support free repair surgeries and pre- and post-operative care, training, and a massive outreach campaign. We have also raised money to help repair Kathmandu Model Hospital’s operating room following the devastating earthquake in April 2015. 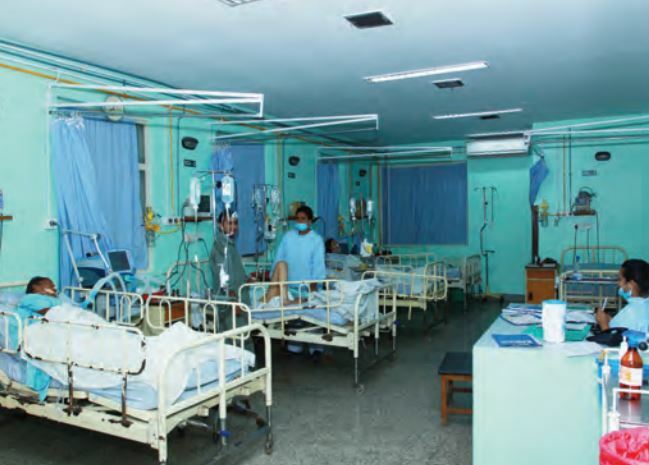 Kathmandu Model Hospital Reconstruction a Success!